AD || This post is in collaboration with Darlings of Chelsea. All words are my own, all images provided by Darlings of Chelsea. As always I only work with brands that I love and think you would enjoy too. Universe, I’m putting it out there. We are looking for new sofas. Now the majority of the structural work is done in our living room (replastering, new floor, new windows etc), it’s time to focus on the fun stuff. When we moved in to our home 5 years ago, we had every intention of bringing Pete’s sofas from his bachelor pad. Until they didn’t fit in through the door. So we had to hastily find a solution, something that would serve a purpose whilst still looking relatively stylish. We knew we wanted a puppy and a kitten and whatever we chose had to be durable. Fast forward 5 years and our existing sofas have served us well but we’d love something that works better with the style of the room and now the animals are older we don’t have to worry about damage. We’re lucky now to have space for two sofas and have a three-seater and a two-seater. I’m even hoping to find a chaise style for our three-seater whilst not eating too much into the bay window. It hasn’t always been that way though. My first flat in Earls Court back in 2002 was a tiny studio flat with a mezzanine platform up a ladder to sleep on. The sofa was a squishy two-seater affair which did transform into a sofa bed but only in precisely one position and you had to climb over it to move around! Thankfully there are so many solutions available these days for every space, from a country mansion to small city-centre apartment. 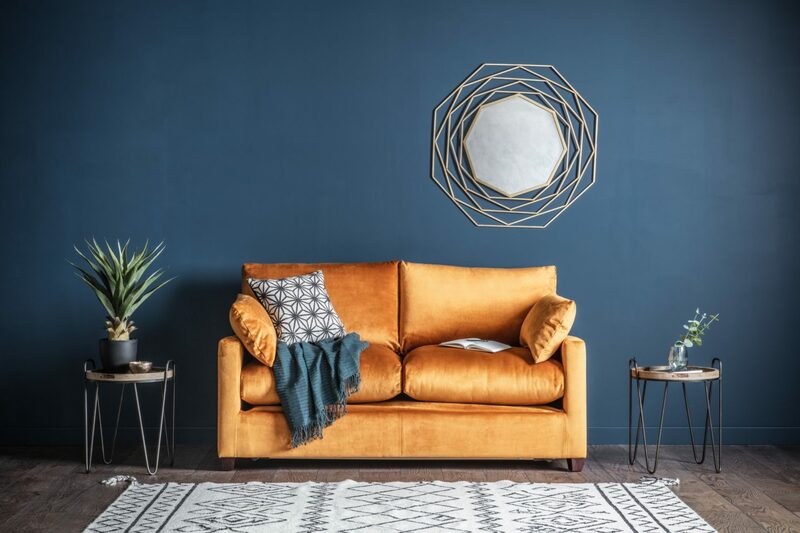 Darlings of Chelsea have recently opened their new showroom in Parson’s Green, London and I’ve been checking out my favourite sofas regardless of your space as well as thinking about some key colour trends for 2019. 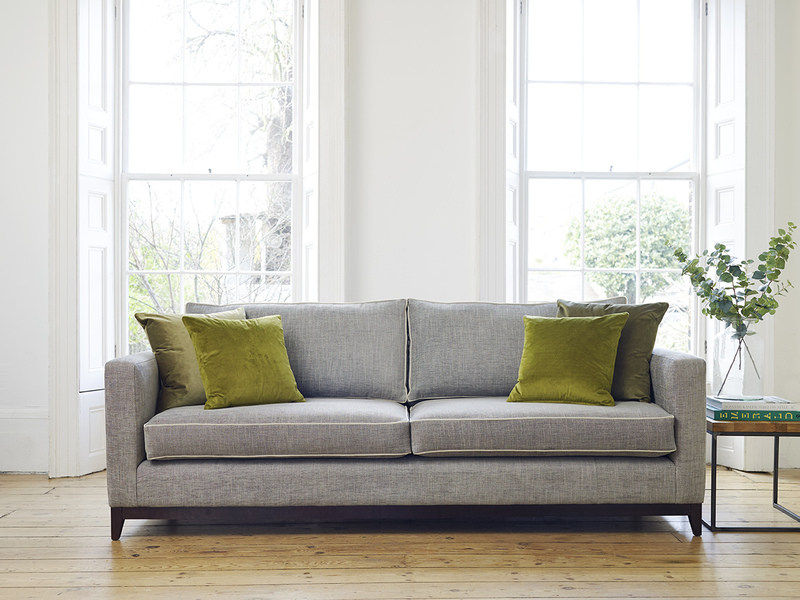 If you’re pushed for space, a sofa bed in your living room or a spare room is the perfect solution. In all the previous homes I’ve lived in since being a Londoner, the last 17 years, everywhere has had a sofa bed in the living room. 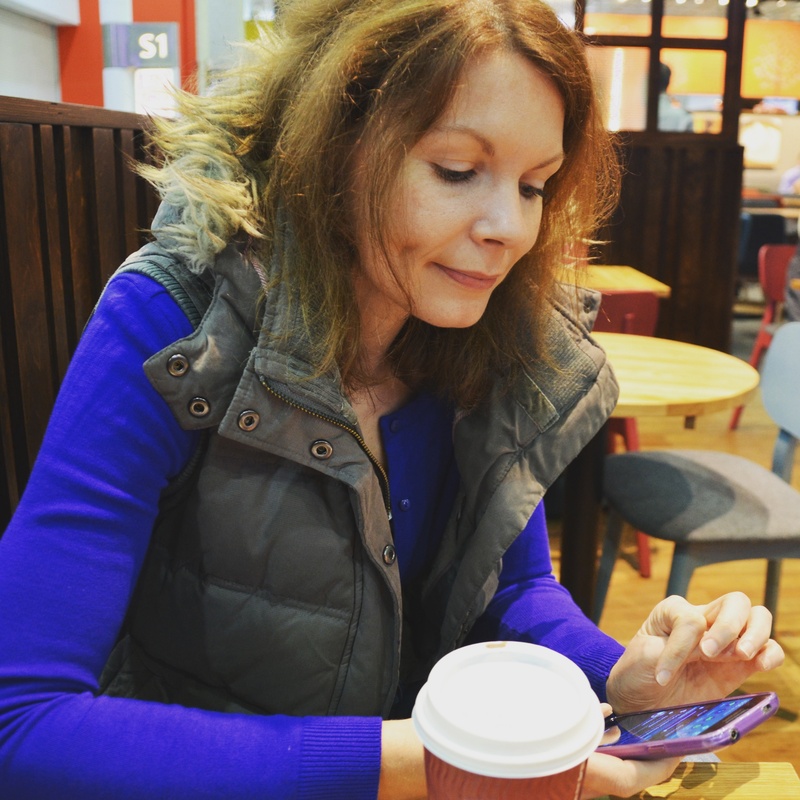 It meant I’ve been able to cater for friends and family a bit more comfortably. 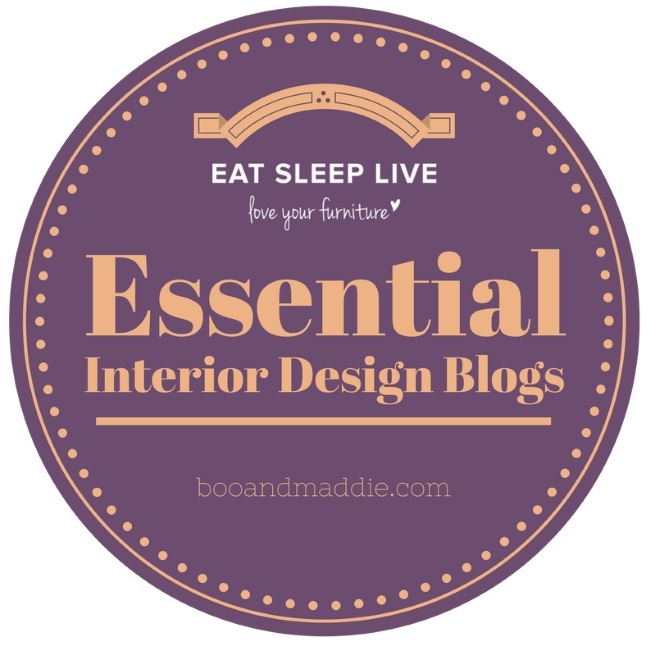 Likewise, you may want to use a spare room for multi-purpose instead of taking up a lot of space unnecessarily with a bed. We do a have sofa bed in our third bedroom (that is NEVER LEAVING THE HOUSE, we had to cut away the bannisters to get it up the stairs and then refix them) because this room serves more purpose than just being a guest bedroom. The Compton small sofa bed is the DREAM. I wouldn’t even change the colour or fabric and a little part of me wishes that when we got our sofa bed I’d been a bit more design savvy. 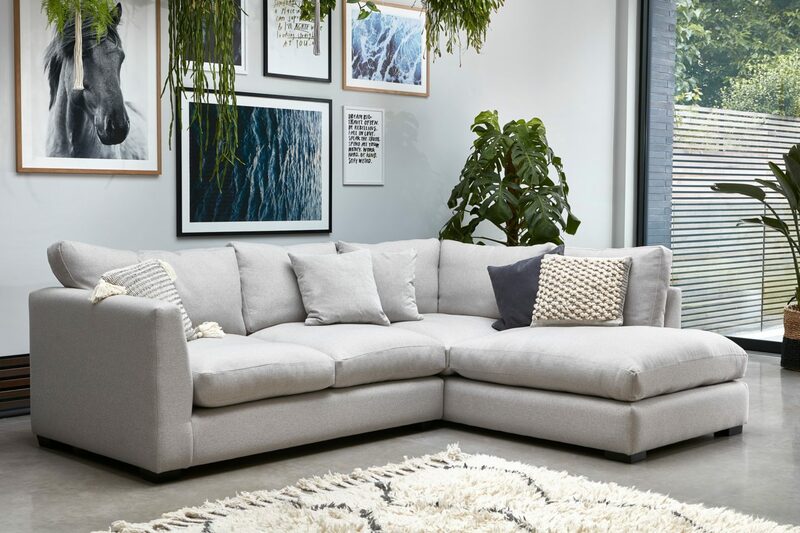 The Compton sofa bed features removable cushions for easy cleaning and extra throw cushions to make it super comfortable so it serves a purpose as much as a sofa as a bed. Plus yellow in its various guises is a perfect colour to be on trend in 2019. I’m sold! It may be that you have a slightly larger room but have some other design features that you want to catch the eye, instead of the sofa. I’m going through a bit of a love affair with our new radiator in the living room at the moment and so would never use the bay window to position a sofa, even though a lot of households do. So for me, a sofa that is stylish but not stealing ALL the attention in the room is the perfect answer. The Darwin is the solution for this type of sofa. It can hold its own in a living room but not be the conversation piece. It has a contemporary yet classic style and I think would work really in a masculine space without being too cliché like the Chesterfield. The solid wood plinth and raised legs give it a modern twist but I’m most obsessed with the delicious contrasting piping. As I mentioned earlier, I think I’ve managed to convince myself that we do have space for a chaise whereas I wasn’t sure before. It would be in prime TV viewing position too and now we’ve finally joined the 21st century with an internet ready television, I could snuggle up with Netflix and a cuppa all from the comfort of a sofa with plenty of leg room. I am completely smitten with the Studio Lounger Sofa, a design lover’s dream AND it meets my lounging requirements. Seriously though, that Mid-Century modern look is to die for and I would basically transplant it straight into my living room exactly as is. As always with the Darlings of Chelsea collections, so many of the sofas can be upholstered in any number of fabrics and colours, and the legs can be changed too. I’m optimistic that if we ever get round to our ground floor extension, we can create enough of a new space at the back of the house to allow for an L-shaped new dining room/kitchen/living area so that we can almost create a summer living room to contrast with our main living room with the log burner. 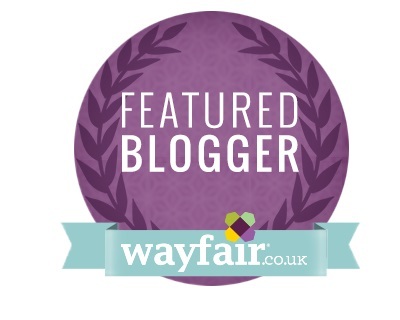 If we can pull off this dream I’d love a squishy cosy corner sofa to really relax in the space and of course if you’re lucky enough to have a lovely large country abode then the corner sofa is perfect for you. The Waterford corner chaise is exactly that dream. I wouldn’t want a corner sofa to be too formal or fussy, the idea is that it’s something you can leap on and immediately be enveloped into lots of comfy cushions. 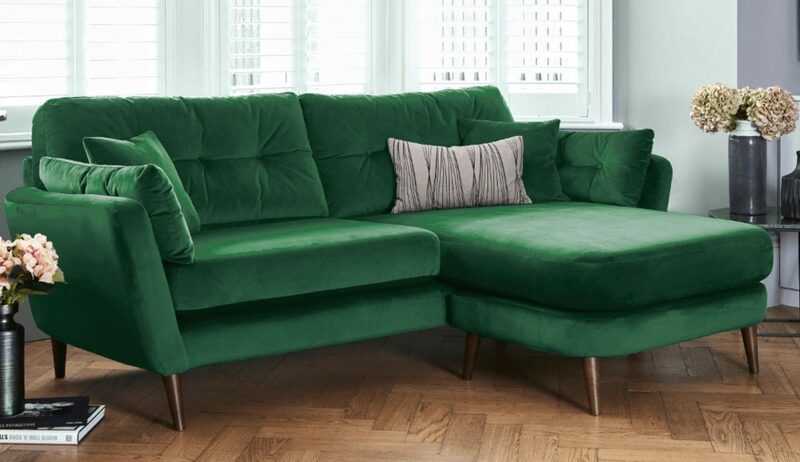 With fibre filled seat cushions and feather filled back cushions I think this sofa would be so comfy I might never want to get off. But with a view over our dream back garden and bifold doors flung open wide, why would I ever want to? As well as the two new sofas for the living room, I’m also on the hunt for one final piece. One corner of our bay window is crying out for an occasional chair and I’d love a snuggler or love seat for this space. Facing away from the television, it would be an ideal spot to curl up with a blanket and good book, sunlight streaming in. That is, if I could prevent Boo from stealing it first. I absolutely love the elegance of the Charnwood Love Seat with it’s plush button back detailing and just look at that beautiful plump seat cushion. Now apparently this is big enough for two to cosy up on but mark my words, I could definitely turn that into a sofa just for one. 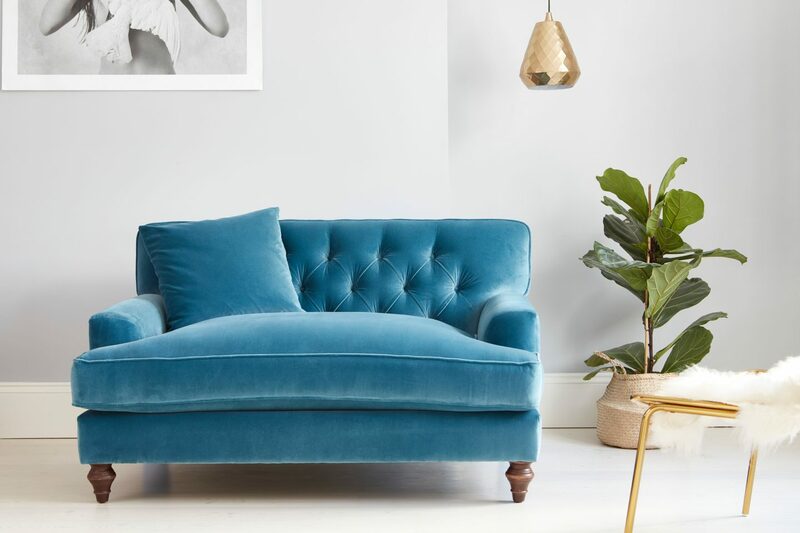 So that’s a wrap on my favourite new sofa picks at Darlings of Chelsea and hopefully it’s helped you to consider some options no matter what type of space/style you have. Happy hunting! I’m redecorating my lounge soon and I am loving the inspiation. I currently have a grey arm chair which I want to keep but am on the poutlook for a new sofa. 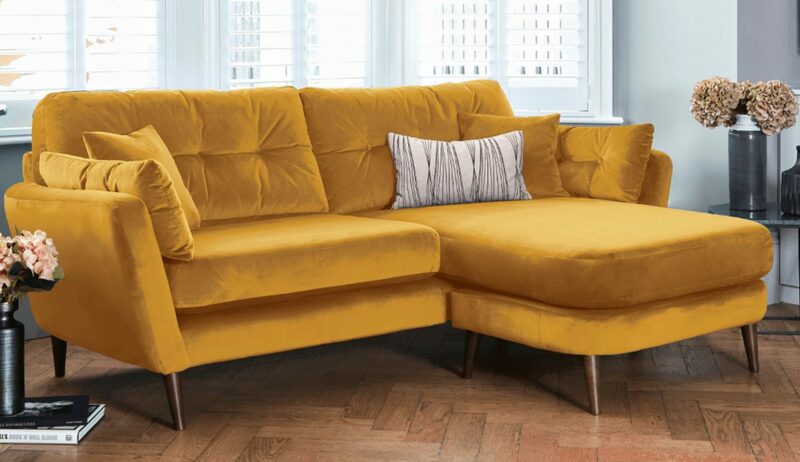 Yellow is my absolute favourite colour and I’m so in love with those mustard sofas. I love the 2 seater velvet sofa. We to had a sofa bed in our loft that we had to dismantle to get it down the stairs. Oh they all look so lovely! We have a corner sofa which I love, the corner section is mine and it’s the best place to snuggle up in!